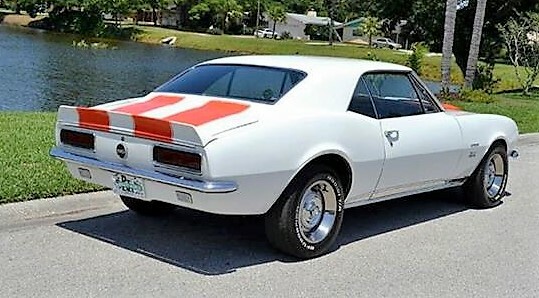 In recognition of the 50th anniversary of the first Chevrolet Camaro ever built, here is a first-year Camaro just the way we like them, fast and flashy. 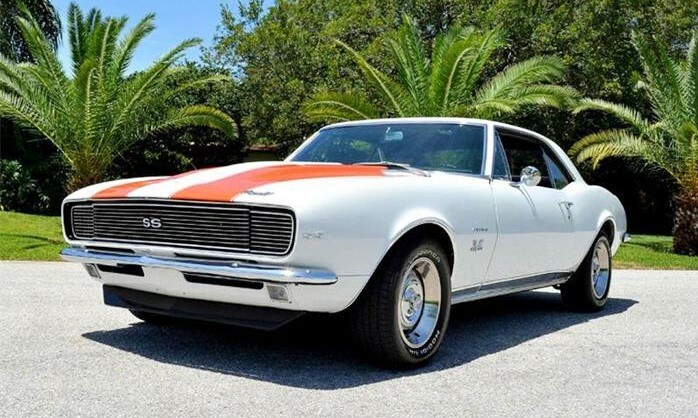 In recognition of the 50th anniversary of the first Chevrolet Camaro ever built, here is a first-year Camaro just the way we like them, fast and flashy. 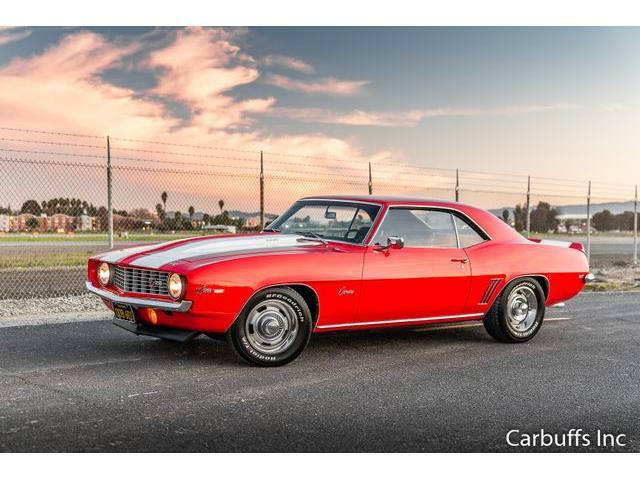 While the prototype Camaro was a bare-bones economy model, this one is anything but. 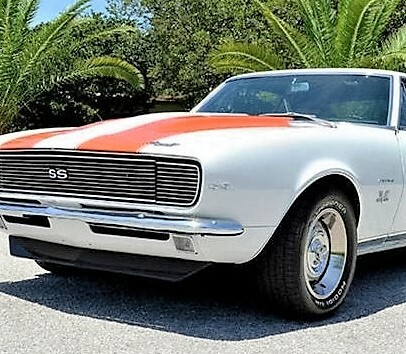 The Pick of the Day is a 1967 Chevrolet Camaro SS coupe, Ermine White with Hugger Orange stripes, powered by a 396 cid V8 fed through a manual four-speed gearbox. 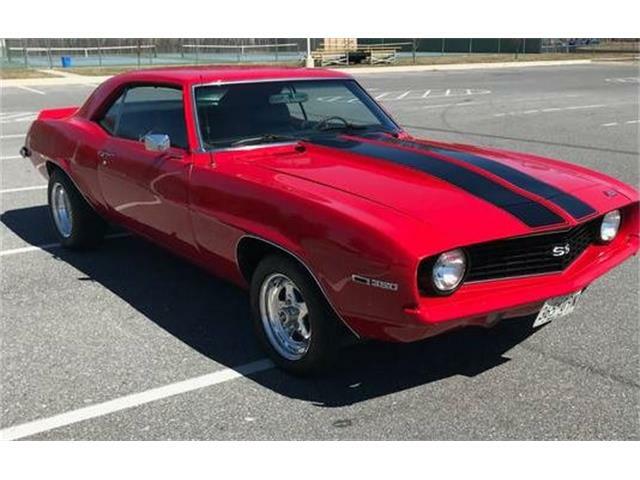 This Camaro was built to run away from Mustangs on the strip, or turn every head while rumbling through traffic on cruise night. 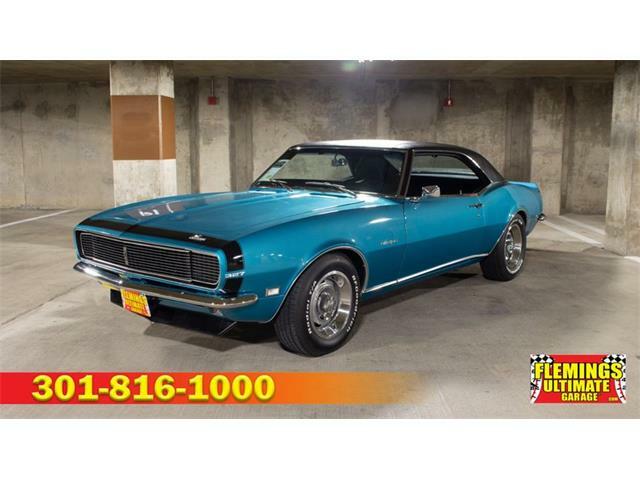 “This first-year Camaro is an eye-catcher,” the dealer says. 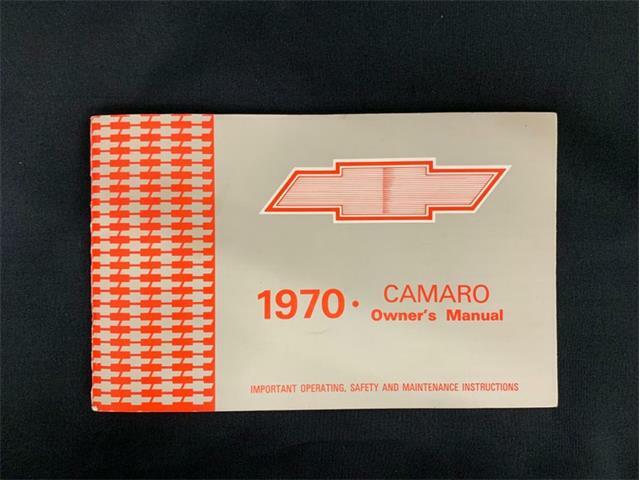 By the way, the name “Camaro” was totally made up by the Chevrolet people, according to a recent Hagerty news release about the 50th anniversary. Other pre-production choices came down to GeMini, Commander and Wildcat. 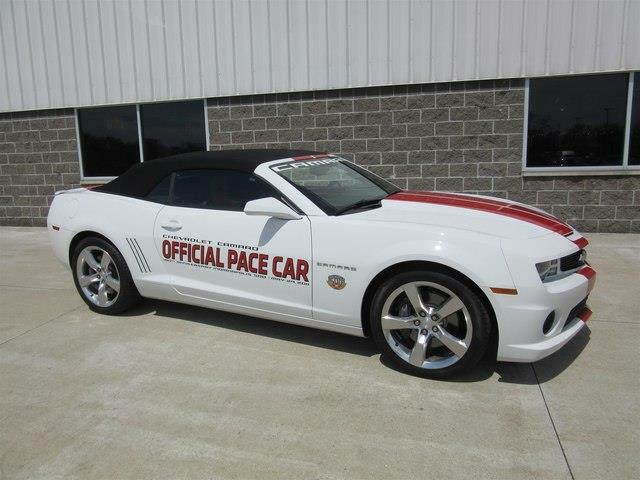 The name Panther became the favorite, with badges made up for the first run of the new cars. But Camaro ran onto the field at the last moment and won the toss. The Panther badges went to the dumpster. 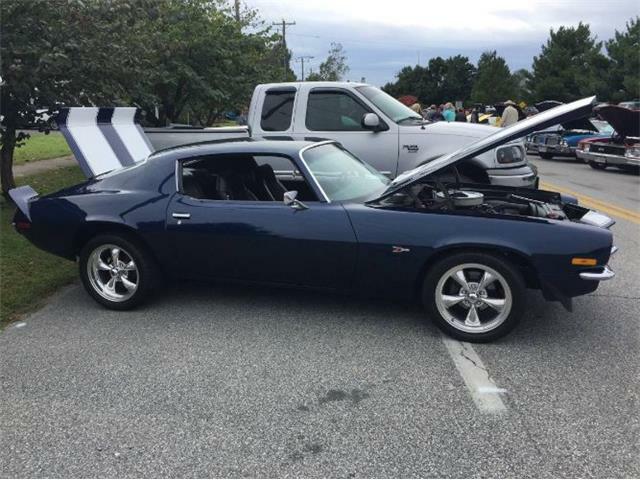 The big-block engine in the restored Camaro coupe is equipped with a Holley four-barrel carburetor, HEI ignition, headers and dual exhaust. 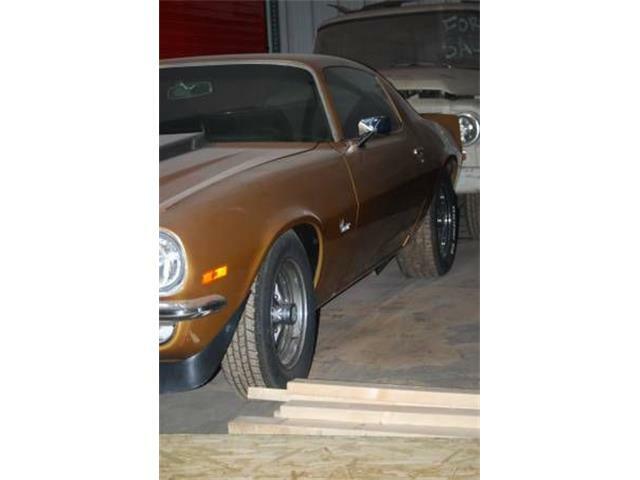 The car has a Muncie shifter, power steering and brakes, and 15-inch rally wheels and BFGoodrich tires. 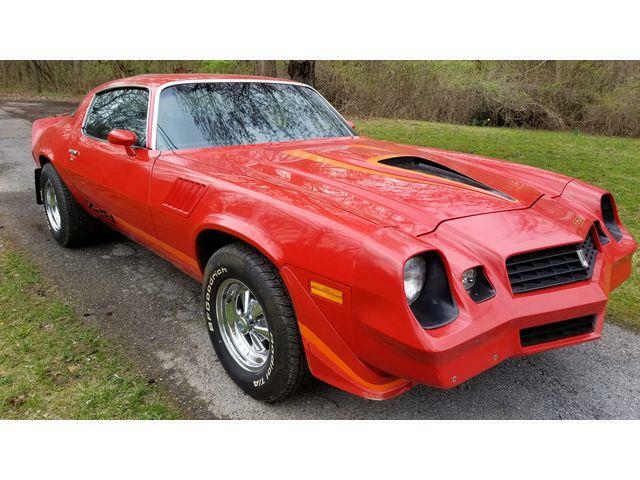 Painted with base coat, clear coat, the coupe wears a muscular-looking cowl hood and a rear deck spoiler. 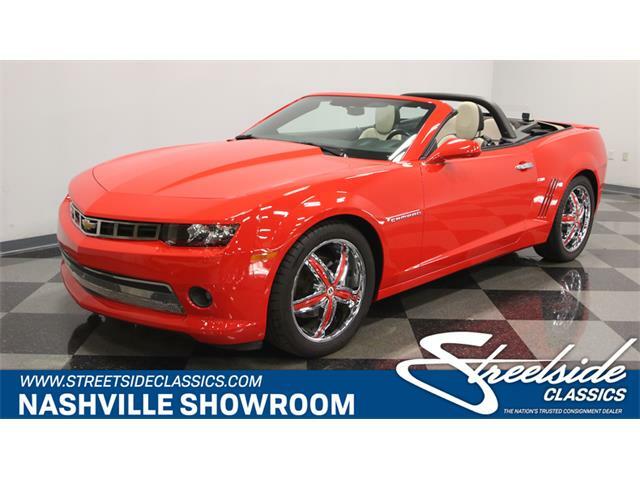 The interior is outfitted with bucket seats with hounds-tooth inserts, a center console, LED floor lights, AM/FM/CD radio with AUX input, custom kick panels with built-in speakers, auxiliary gauges and a tachometer. 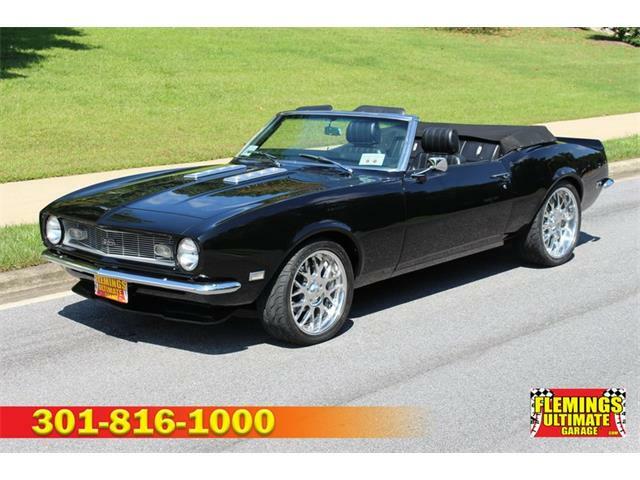 The car, which the ad says has gone just 5,881 miles presumably since restoration, is priced at $36,900, which seems like a fair price for a 50-year-old piece of historic American muscle.